Heath & Heather Peppermint Tea is a traditional blend of peppermint leaves that helps soothe your system while perking up your palate. A refreshing, healthy herbal tea with no caffeine. Delicious hot or as iced tea in summer months. 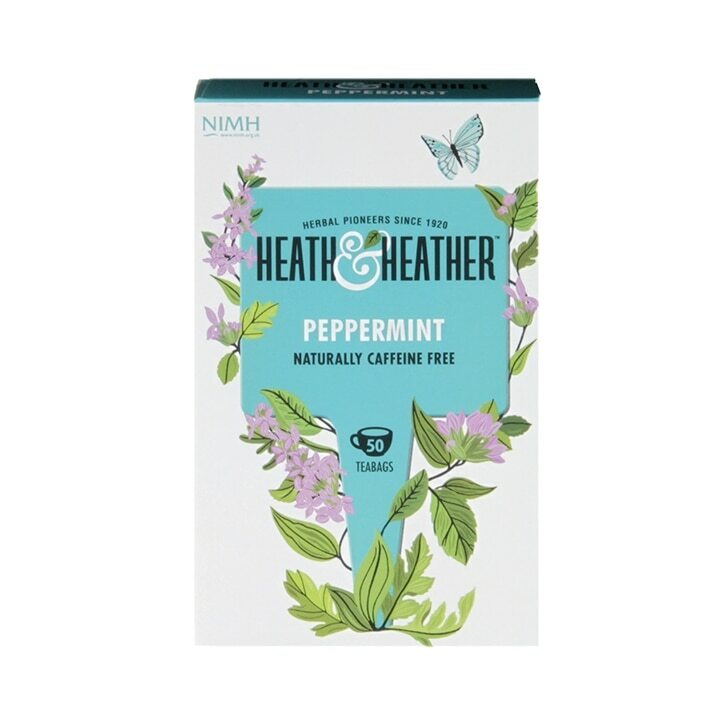 Heath & Heather Peppermint Herbal Infusions is rated 4.6 out of 5 by 24. Rated 5 out of 5 by Judith83 from Great taste Lovely tasting peppermint tea. One of the nicest teas. Rated 5 out of 5 by emilyrose from Perfect cuppa! For someone who doesn't drink caffeine you can't beat peppermint to start your day right. Rated 4 out of 5 by fab77 from peppermint tea I like this tea which would appear not to be available instore anymore. It is refreshing and comforting too and was a great price so a no brainer. Rated 5 out of 5 by Roach from great quality great product, great price and great service. Dont know what else to say - all perfect.